FROM ST PETE TO SARASOTA FL. Mexican Tile Restoration in Sarasota- Bradenton-Bird Key-Longboat Key-Holmes Beach-Casey Key and Venice Florida Since 1995, CALL 941-926-7444. 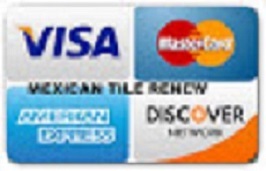 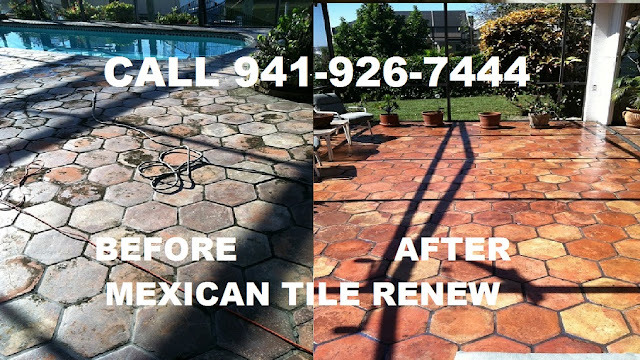 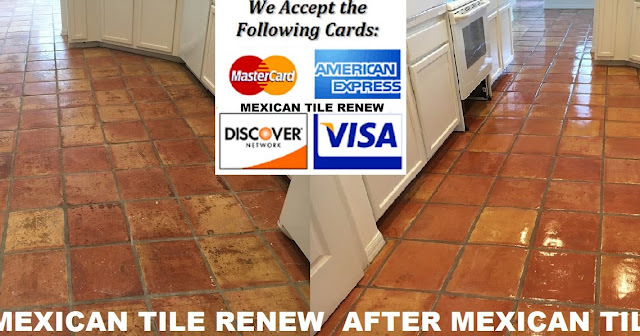 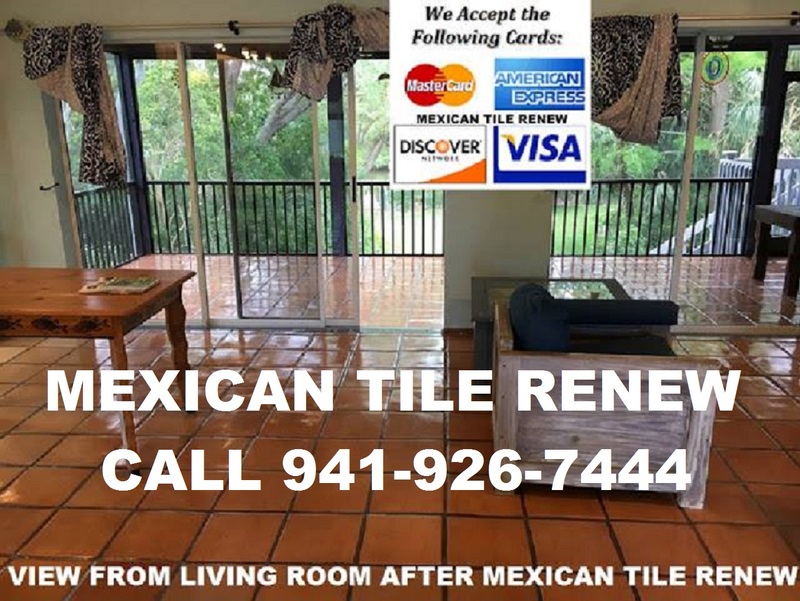 “Mexican Tile Renew CALL TOLL FREE 866-926-7444 or in SARASOTA call 941-926-7444. 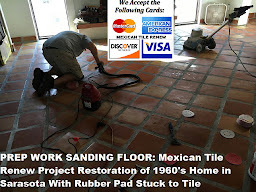 Saltillo Tile cleaned & sealed. Never “Steam Clean” Mexican tile floors or use vinegar it will ruin the finish. 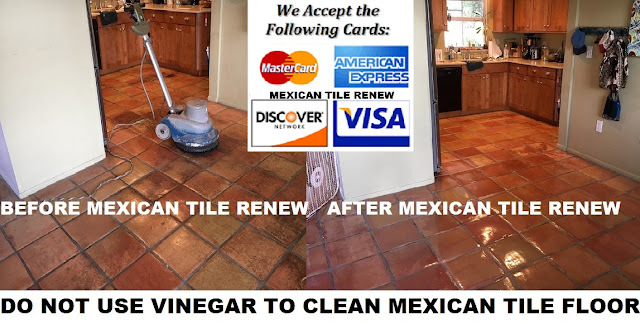 We do not use solvent based and dangerous products. 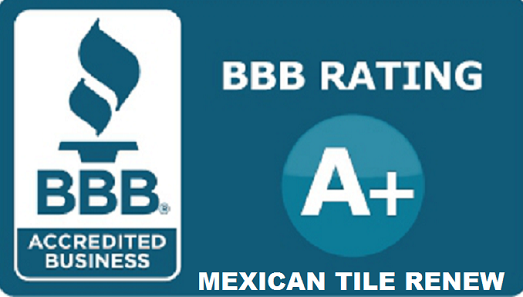 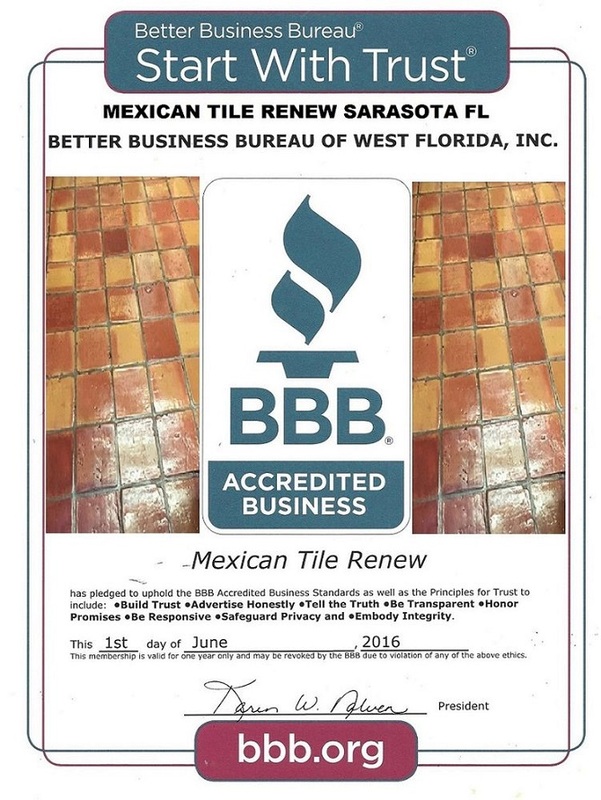 "Mexican Tile Renew" has an A+ rating with the Better Business Bureau of South West Florida in Clearwater, we have been in business for 24 years since 1995. 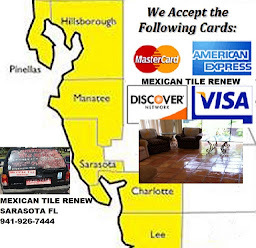 FREE ESTIMATES…Fort Myers-Sarasota-Siesta Key-Venice-Bradenton-Longboat Key-Casey Key-Nokomis-Osprey-St Pete Fl. 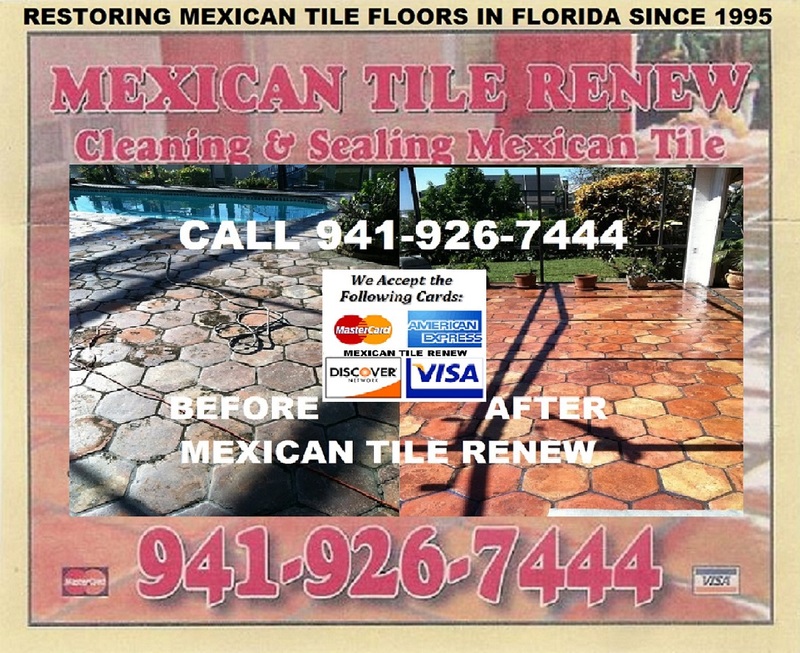 Mexican Tile Cleaning and Sealing CALL 941-926-7444. 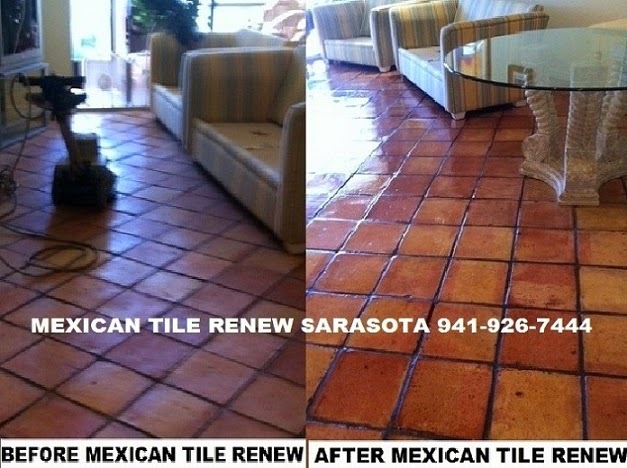 FROM ST PETE TO SARASOTA FL RECENT MEXICAN TILE RENEW PROJECTS SARASOTA FL CALL 941-926-7444. 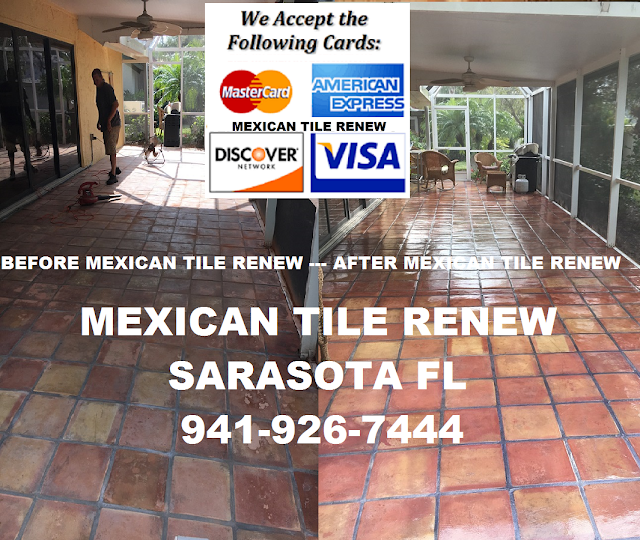 Mexican Tile Restoration in Sarasota-Bradenton-Bird Key-Longboat Key-Holmes Beach-Casey Key and Venice Florida, Since 1995 call 941-926-7444.